On 26th January NN1 Personnel will be celebrating its 4th Anniversary. It’s this time of the year when we reflect on another year of business and remind ourselves some of the best memories and achievements. Happy 4th Birthday to us! 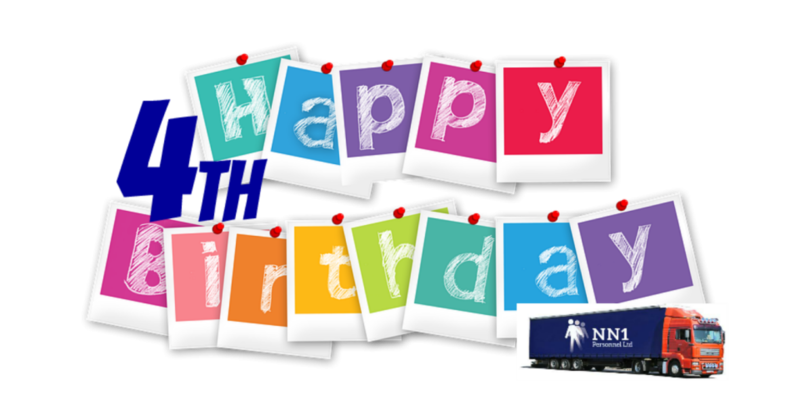 First of all, we wouldn’t be celebrating another birthday without our clients and drivers. Thank you to our clients – for your valued business, trust and confidence. 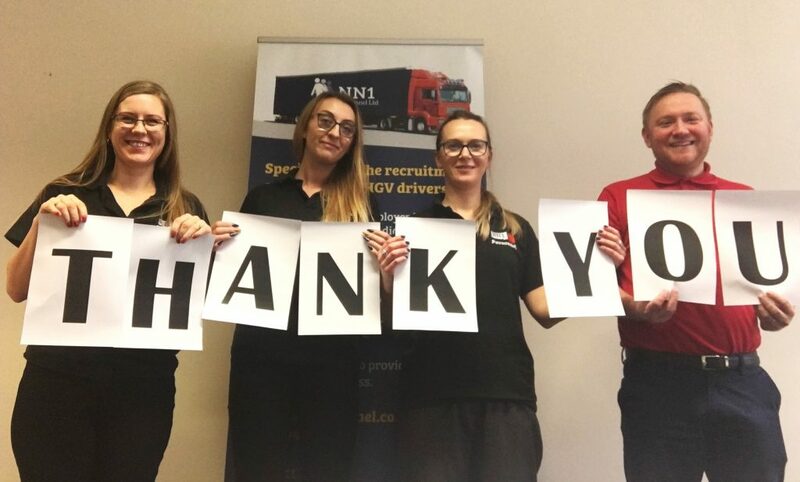 Thank you to our drivers for your trust and loyalty. Thank you all for helping us grow and achieve our company goals and dreams. We look forward to continuing to work with you. We are very proud of the new clients we have gained, some of which use our services exclusively. We are also very appreciative of the ongoing relationship with our loyal clients. 2018 was a big year for us especially when it comes to growth. 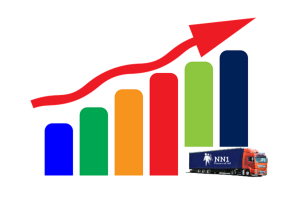 Our turnover was 10 times higher than it was in 2015. The number of drivers increased by a significant 98% last year. This was all as a result of hard work and dedication of our whole team at NN1 Personnel. 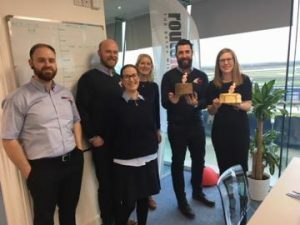 In January, we were one of the businesses in Northamptonshire which was awarded a Business Support Grant as a part of the Ready2Grow project. This really helped us with our online presence and strengthen brand awareness giving us opportunities to engage with new clients and grow our business. In the summer we took on 2 new team members, Marzena and Sabina, who took over administrative responsibilities. They also gave us more opportunities and ideas to manage our social media. We are particularly proud of our blog and the attention it gets. If you are a driver or support drivers in any way our blog is a must read for you. 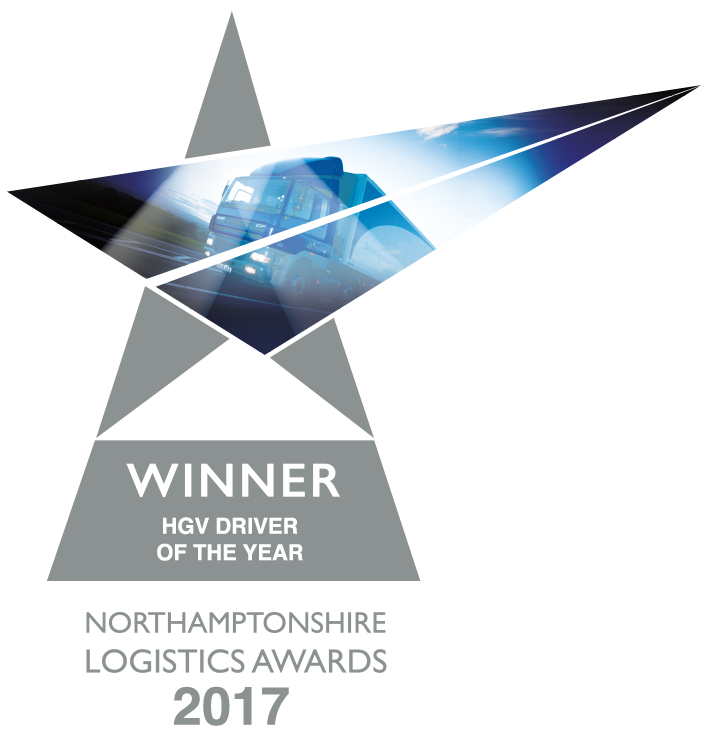 Our favourite and most popular blog post last year was A Day In The Life Of An HGV Driver. We joined TEAM – the largest network of independent recruiters in the UK. 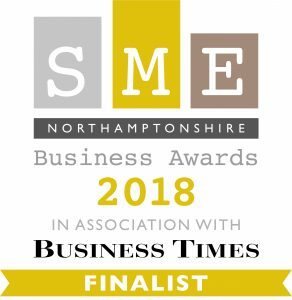 We were finalists of SME Northamptonshire Business Awards in October 2018. We were nominated in 2 categories: Business of the Year less than 50 Employees and High Growth Business of the Year. Being finalist for the 2nd time in a row is a huge achievement and goes to show our business is developing well. In October we moved to a new location. It was a very exciting time for us as a business as we settled into larger premises due to our growing team and expanding business. The new office is also easier to find and has more parking spaces nearby for anyone that wishes to visit us. It’s been a few months now and we are still in the process of arranging our workplace. Thank you again to everyone who helped us to achieve our company goals. We cannot wait to see what the coming year will bring.